The iOS Control Center contains two rows of buttons at the top and bottom of the area. The previous implementation of it made more sense to me, as the top buttons were switchers, and the bottom buttons were mostly launchers (except for the flashlight, which feels out of place). 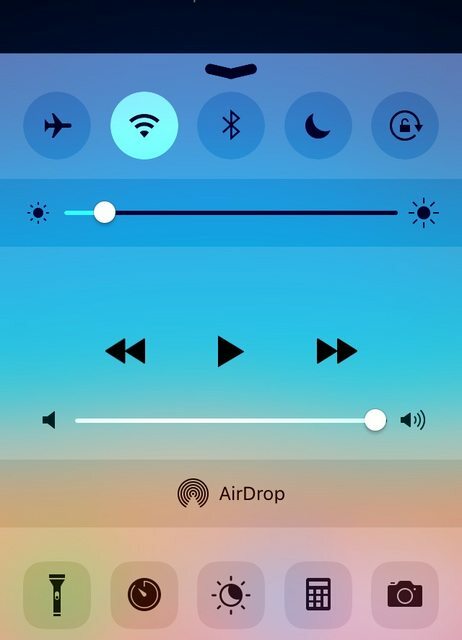 The most recent update introducing the Night Shift feature brought a new button to the Control Center. It's now located in the middle of the bottom row and is responsible for toggling that feature on/off. I can see how the Flashlight could have been a one-time trade-off because on the other hand, the interaction span with that particular feature is supposed to be short: you launch it, quickly use it, and get back to whatever you were doing (just like with the Camera, Calculator or Timer). But now I don't understand the logic behind those placement decisions completely. 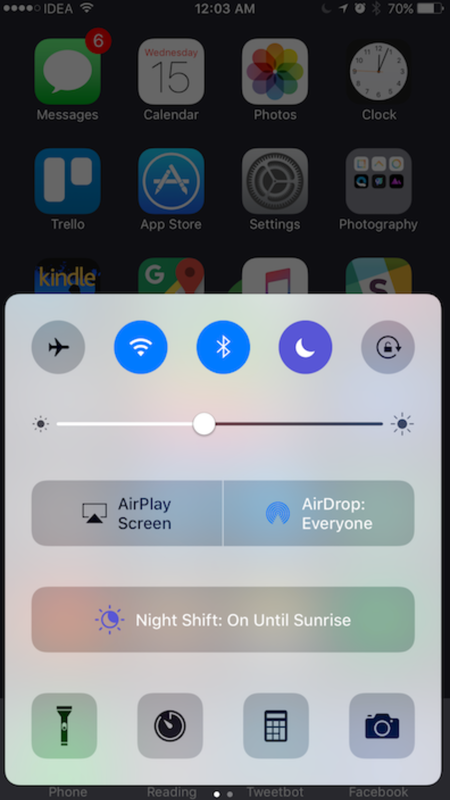 The Night Shift button is definitely a switcher, it can stay on for a long period of time, and it does feel like it belongs to the area where most of the switchers are. I do realise that the area will become too crowded, but then again, it is possible to have two rows of icons in there, with the secondary ones grouped in a collapsible/expandable area - just like the one that let's you act on a banner notification (e.g. reply to a text message). That would also make it possible to include the switches for the Low Power Mode, Cellular Data and Auto Brightness in that quick access area, this way making it even more feature-rich. Before you tell me this actually belongs to Apple's feedback website, let me finally ask my question: is there any logic behind this placement? It just doesn't feel right, consistent or predictable. Yet I'm sure they know what they're doing, which makes me wonder if I'm missing something. I did a search before asking to see if this is not going to be a duplicate. Very interesting question, and you make quite a valid point, I can certainly see the difference between the functions of the top row of icons and the bottom row. And while this may not be the definitive answer you are looking for, it looks as though it could just be a matter of spacing and where to fit another icon. I know you mentioned the possibility of an expandable/collapsable area, but I don't think you want to add an extra step into the process, i.e. swipe up and then expand and then click the option. I think that grouping the icons how they have is a better trade off than adding another expanding area. I think this is just one of those situations where practicality, and not wanting to make big changes to the layout (existing experience), rightfully, wins out over logical grouping and design. I say 'rightfully' because, I think making that large a change in this update would cause more headaches. I also want to quickly ramble about how it looks like the top and bottom row or icons are becoming similar in appearance, and perhaps in the next update they will make them all look the same. They might even then move them to two rows together and just have icons of mixed functions, and lose the grouping altogether. The obvious explanation is: because there was room at the bottom. Given that there were already five buttons in the top row and four on the bottom, they could add a fifth on the bottom without shrinking the buttons in the top row. Now there are five buttons in each row (nice and symmetrical) and the buttons are all the same size. Not the answer you're looking for? Browse other questions tagged ios toggle placement or ask your own question. Designing an Advanced Search Control for iOS? Is it acceptable/good UX to use ios Segmented Control as a radio control? Is iOS navigation bar placement at the top of screen a design flaw?